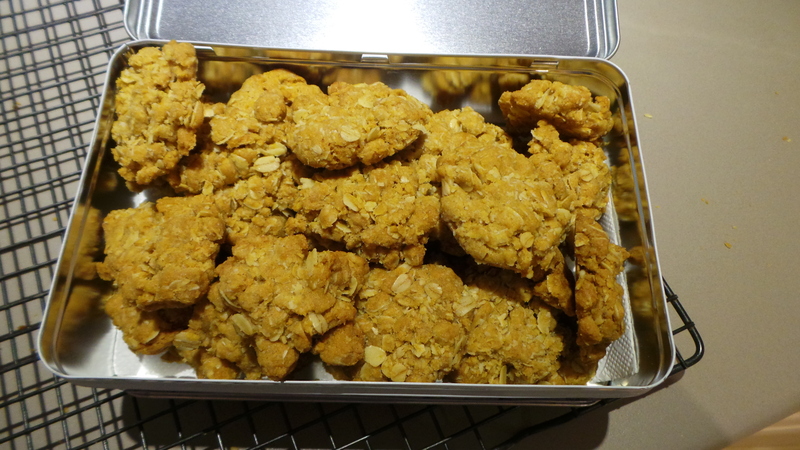 Anzac biscuits are pretty much a part of every Australian child’s culinary vocabulary. We’ve all had them and we’ve pretty much all made them. Some are woeful, some are good and some are extraordinary. It really just depends on the cook and the preference of the muncher. These biscuits are so-called because they were sent to the ANZACs in their Turkish trenches nearly a century ago. As such, they were needed to last during long storage on sea voyages and in less than optimal food storage conditions in the war zone. This meant they were often rock hard. My brother famously christened my mother’s as “Bathroom Floor Biscuits” because he said they needed to be smashed on the tiles in order to eat them! Thankfully things have changed. We no longer bake the life out of them for a start. 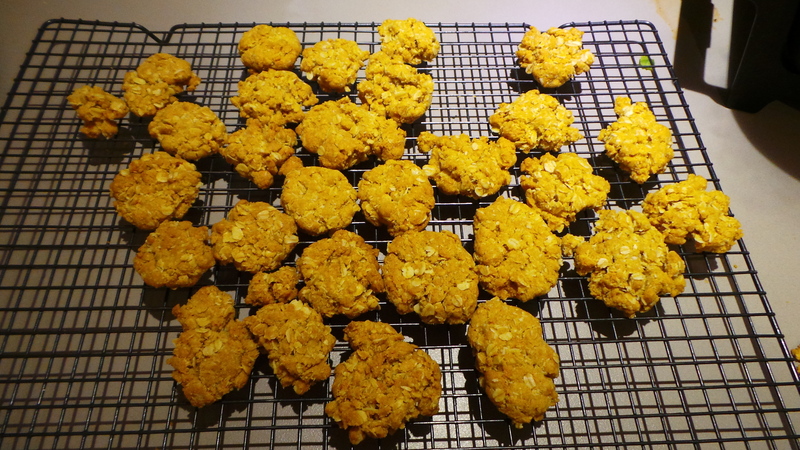 This is the recipe that I use for Anzac biscuits, it came originally from The Australian Womens Weekly’s The Basic Cookbook and I’ve been using it for over 20 years. It works. Make them with your kids today. Just remember that these are biscuits and not cookies. They will be crunchy all the way through, and not chewy in the middle. ½ teaspoon bicarbonate of soda. Lightly grease or line several baking trays. Combine oats, sifted flour and sugar together in a large bowl. 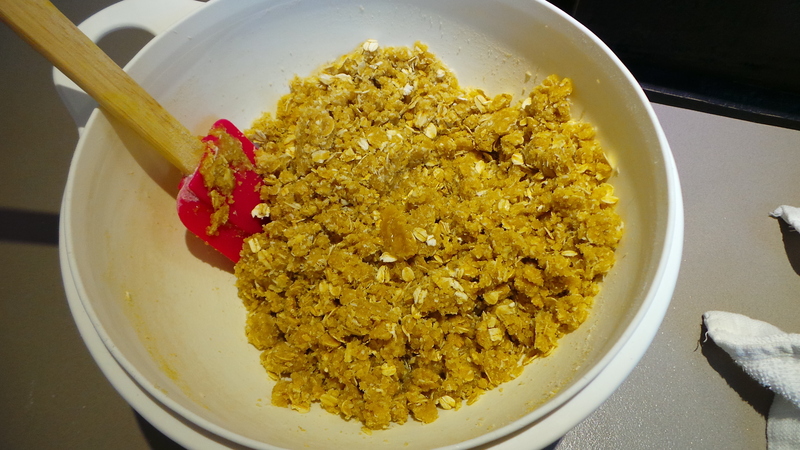 Add mixture to dry ingredients and stir until combined. Place rounded teaspoonfuls of mixture onto trays 5 cm or two inches apart. 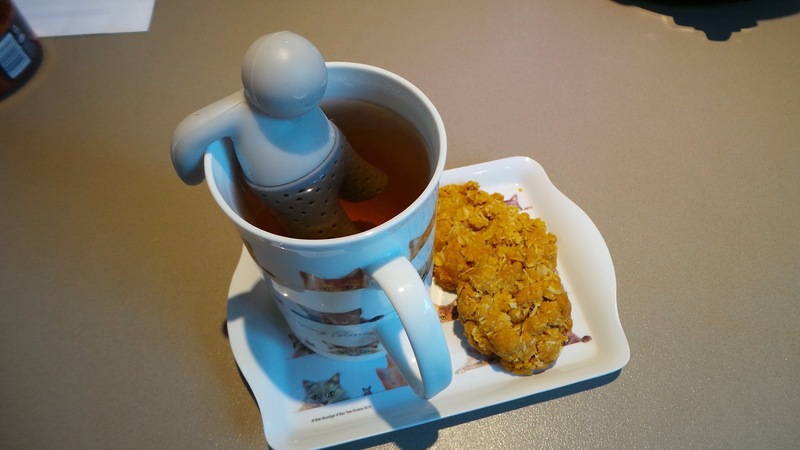 These biscuits will spread! Bake for about 20 mins or until biscuits feel slightly firm. Also, don’t panic if your biscuits lose bits as you transfer them from the trays. Save all these little crumbs of oaty, golden-syrupy goodness and store in an air tight container. They are excellent scattered over plain Greek yoghurt or ice-cream. Trust me on this.